Floral Easter eggs – Mums! 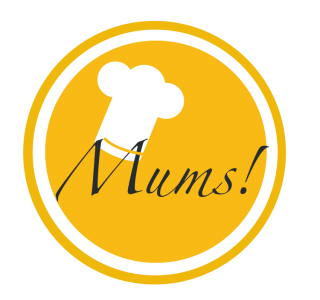 Welcome to the very first spot in my brand new blog Mums! Given the time of year – springtime and more precisely Eastern – I’ve decided to share some of my favorite Eastern-inspired recipes and ideas with you over the next couple of days. First up are my herbal Eastern eggs. My mother-in-law taught me how to make these beautiful naturally-coloured eggs with prints of real herbs. They look like pieces of art and it always breaks my heart to tap them. Start by boiling the eggs according to your personal taste. I like soft-boiled eggs, so I let my eggs simmer for 5 minutes for a silky yolk. After having reached the desired boiling-time, stop the coagulation process by putting the eggs into ice-cold water. Now the cuddly part start – the herb application. Take an egg in left hand (if you’re right-handed) and apply your plant with its right side down on the egg. Be careful to put it straight on and avoid folded edges. Hold on to the egg and plant with your left hand carefully, not dislocating the herb. With your right hand inside the stocking, firmly grab the herb side of the egg fixing the herb to the egg. In the backside of the egg, close the stocking with a knot. Place the eggs in heat-resistant glasses or mugs. Put your natural color into a pan, add water and bring it to a boil. Let it simmer for approximately 10 minutes. Pour the infusion over the eggs and let them sit for a couple of hours (depending on how intense you want the colour to be).